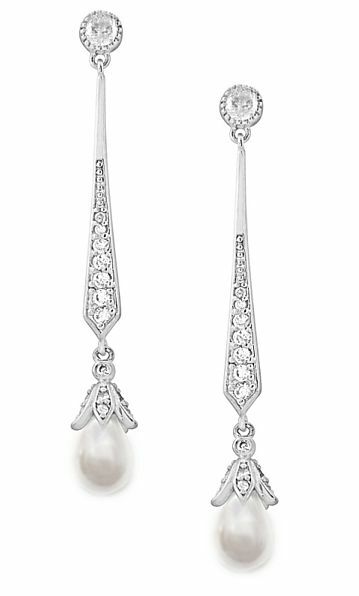 Glamorous long pearl drop earrings using freshwater pearls and cubic zirconia crystals to create a sensational look that flatters the face and looks oh-so-stunning whether you’re dressing up for a night out, guesting at a wedding, or simply adding a touch of razzle dazzle to work clothes. Rhodium or gold finish. Size 5cm/2” long.